Welcome to the Athletic Officials Service Website! We are glad you are here. Please browse the site using the top and side navigation menus to find the information you need. AOS is one of the original organizations for officials in Illinois and we are here to serve the Illinois Football and Basketball officiating community. If you have any questions, please contact us at aosweb@aosweb.org. Athletic Officials Service will hold it’s annual Spring Banquet on March 18th. We will recap the year, look forward to next year and present our annual awards, including the John Katzler Award and the Ed Curtin Award. We will also recognize State Final Officials. The banquet will be held at Gatsby’s Pub, 427 E Rand Road in Arlington Heights. Doors will open at 6:30 and the program will begin at 7:00pm. Please check your email for the announcement. Instructions to R.S.V.P. are in the email. Please R.S.V.P. by March 11th. Congratulations to AOS Member Scott Sobeski on his selection to officiate the IHSA Girls 3A/4A State Basketball Tournament. This will be Scott’s third trip downstate in Girls Basketball, with the first being in 2014 and the second in 2015 when he worked the 4A State Championship Game. Scott has also been down state in two other sports. He worked the Girls Softball State Tournament in 2007 and 2008. Scott handled the plate in the 2008 4A State Championship game. Scott also went down state in Football in 2016 where he and his crew worked the 4A State Championship game. Scott joins a long and growing list of more than 30 AOS Members who have worked the State Tournament. Our long tradition as a premier training organization has also produced members who have been recognized as Officials of the Year in their respective sports. We are sad to learn of the passing of AOS Football Member Gary Gray. Please keep his wife and kids in your thoughts. PALATINE – Gary E. Gray, 61, of Palatine, passed suddenly on December 7th, 2018. Beloved husband of Lynne, nee Leverick for 26 years. Proud Dad of Zoe Anne and Zack Gray. Son of the late Agnes and Howard Gray. Fond Brother-in-Law to Mick (Jackie) and Dave Leverick. Loving Godfather to Kalli Brauer and Stephanie Berlage. Devoted friend and mentor to all who knew him. Gary will be remembered for his love of his family, sports, especially the Green Bay Packers, and his dedicated time and effort to helping the community he lived in. In his spare time away from his business, he was a baseball umpire, football referee, and an official for swimming and diving. Visitation Friday, December 14th, 3-9 PM. Funeral Saturday, December 15th, 9 AM from Smith-Corcoran Funeral Home, 185 E. Northwest Hwy., Palatine to St. Thomas of Villanova for Mass at 10 AM. Interment Private. We are gearing up for the 2018-19 Basketball Season. The 2018 Basketball Newsletter has been released. Click here to check it out! We are gearing up for the 2018-19 Season. Meetings begin on August 13th! The Fall 2018 Newsletter is out. Click here to check it out! Thank you for joining us for the 10th Annual John Katzler Golf Outing for Leukemia! See you Next Year! AOS Spring Banquet – A Time for Celebration! Athletic Officials Service held our annual spring banquet on March 19th at Chandlers. We announced the winners of several awards, recognized our down state officials and announced two new board members. We had a great time with great food and great members! 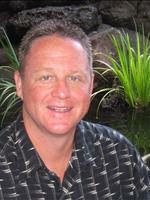 Click here to see a full listing of our board members. Congratulations to AOS Member Matt Mann on his selection to officiate the IHSA Boys 3A/4A State Basketball Tournament. 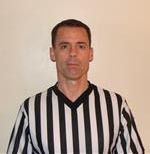 Matt is an accomplished official with several post-season appearances including a number of Conference Title games, Regional and Sectional games. He worked Boys 4A Super-Sectional games in 2017 and 2018. Matt has now added “Down State” to his resume. Matt joins a long list of more than 30 AOS Members who have worked the State Tournament. Our long tradition as a premier training organization has also produced members who have been recognized as Officials of the Year in their respective sports. We held our Annual AOS Banquet on Monday, March 20th, 2017 at Lamplighter in Palatine. It was a great success! Each attendee received a 60th Year Celebration Water Bottle and Luggage Tag. We celebrated with our award members and we announced the new board members. Click Here for More. Our calendar on the “Home” tab shows all the meeting dates as well as presenters for each week. Any highlighted date indicates a event. Hovering over the highlighted date will show the details.